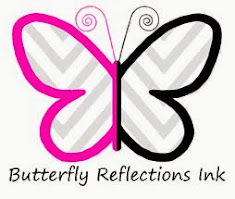 Karen B. here from The Bald Dragonfly, and it is an absolute pleasure to be guesting for Butterfly Reflections Ink today! 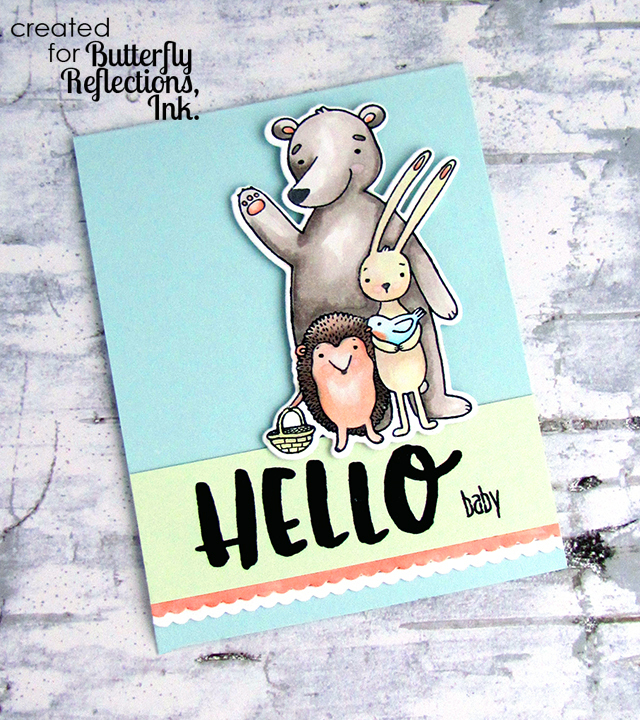 I've got a super sweet baby card for you today featuring Honey Bee Stamps products. I started stamping and Copic coloring the sweet critters from the Forest Friends Stamp Set and cut it out with the coordinating Forest Friends Dies. 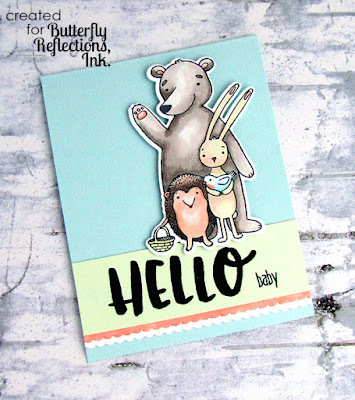 I used a softer, pastel color palette as I knew I wanted to repurpose this stamp set into a baby card! 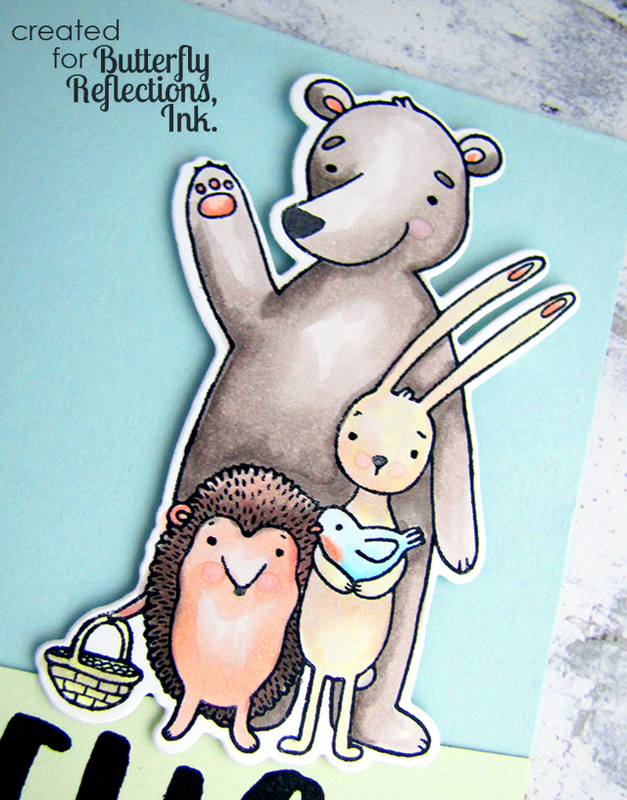 Aren't those critters just the sweetest? I then stamped the sentiment onto a mint green panel, which is a mixture of stamps from Gather Together and Flakey Sentiments Stamp Set. This was adhered over a tiny scalloped border cut from MFT's Die-Namics Stitched Rectangle Scallop Edge Frames and all was adhered to a light blue card base. All of these cutie pie products are still available at Butterfly Reflections Ink. Just a reminder that if you see something that is out of stock at the store, please click the "Put Me On The Waiting List" button so that Vanessa knows you absolutely need this item and can try to order more!